This superb Atlantis has been perfectly maintained and she is a superb condition. Teak has been changed, engines has been regularly serviced by recognized professional and the owner has every maintenance documents. 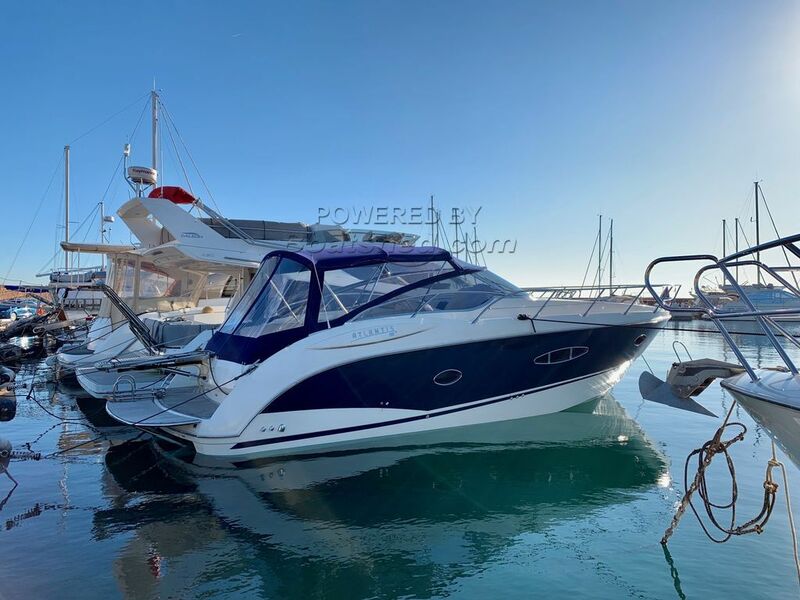 She comes foc ourse with an electric Bimini, a bow truster..
She is a second hand but she definitely looks like a very well maintained one owner from new boat. She is simply ready for the season! This Atlantis 35 has been personally photographed and viewed by Antoine Perrin Daragon of Boatshed Riviera. Click here for contact details.